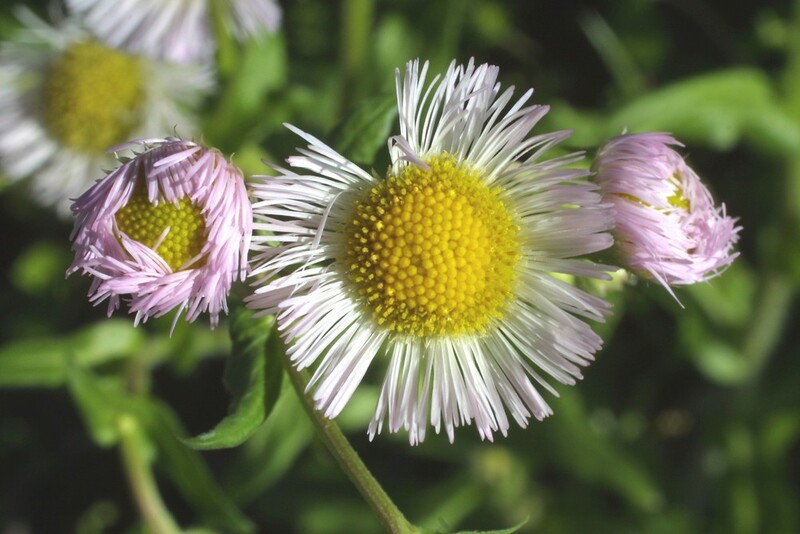 Phildelphia fleabane is native to North America and introduced in Europe and Asia. There are two varieties in New England. 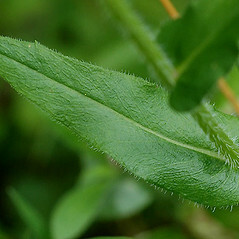 One (Erigeron philadelphicus var. philadelphicus) is a common and widespread plant of open, frequently human-disturbed sites, and the other (E. philadelphicus var. 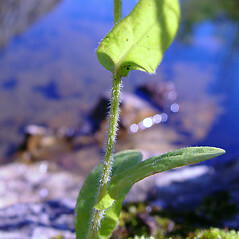 provancheri) is a very rare endemic of high-pH river shore ledges, restricted to Vermont, New York, Quebec and Ontario. flowering plants with mostly 1-4 flower heads, each flower head with 50-100 ray flowers with a ray 0.8-1.7 mm wide (vs. E. philadelphicus, flowering plants with mostly 3-30 flower heads, each flower head with 150-400 ray flowers with a ray up to 0.5 mm wide). 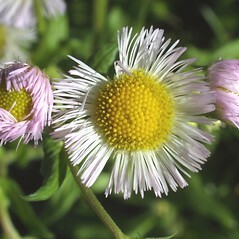 Erigeron philadelphicus var. 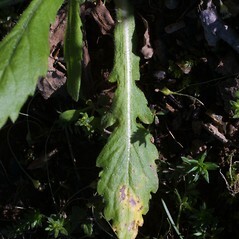 scaturicola (Fern.) Fern. 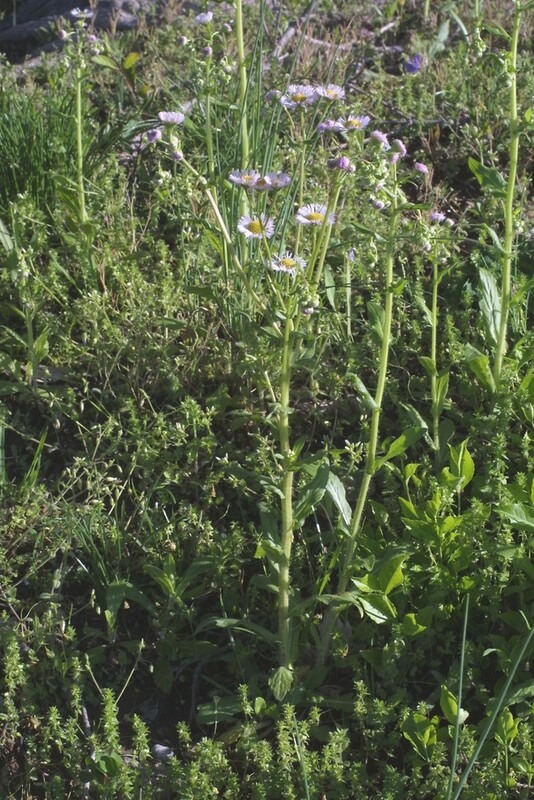 Erigeron philadelphicus L. var. philadelphicus is known from CT, MA, ME, NH, RI, VT, from open, frequently human-disturbed habitats.E. philadelphicus var. provancheri (Victorin & Rouss.) 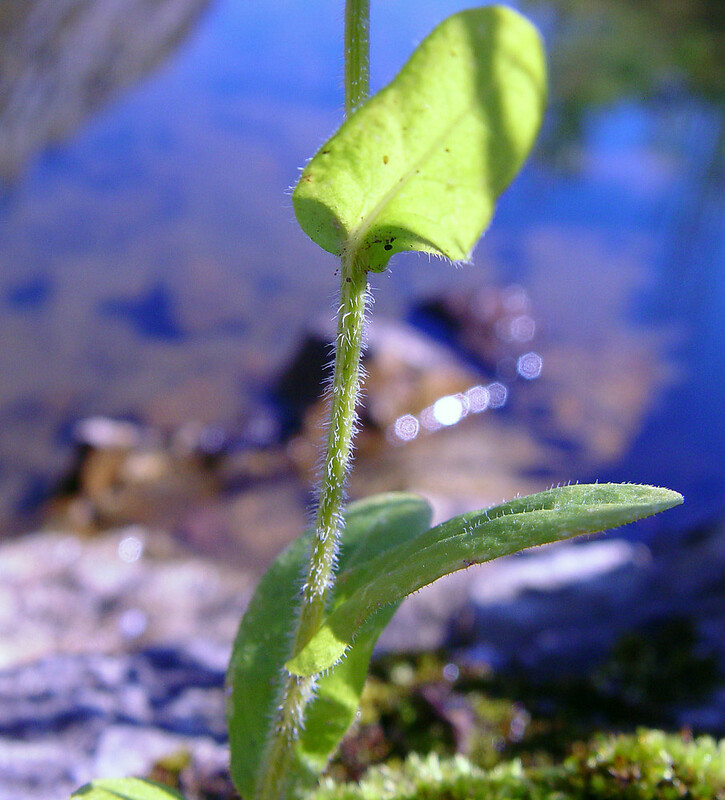 Boivin is known from VT, on high-pH river shore ledges, and is of conservation concern. 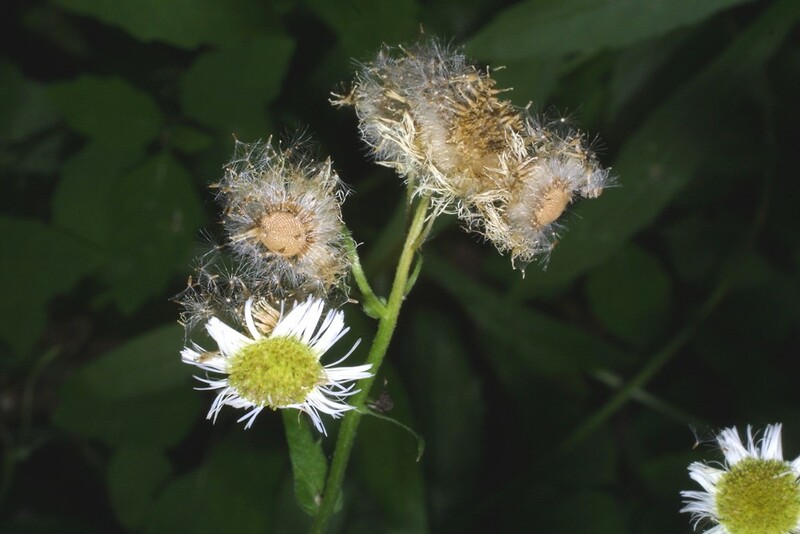 Philadelphia fleabane. 5a. 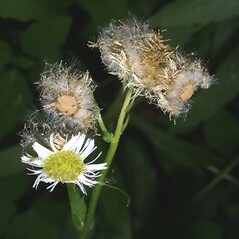 Erigeron philadelphicus L. var. glaber Henry; E. philadelphicus L. var. 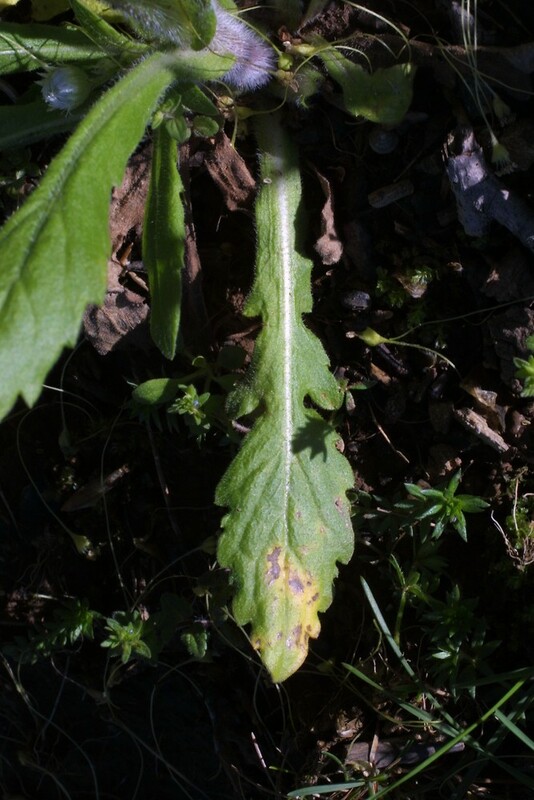 scaturicola (Fern.) Fern. 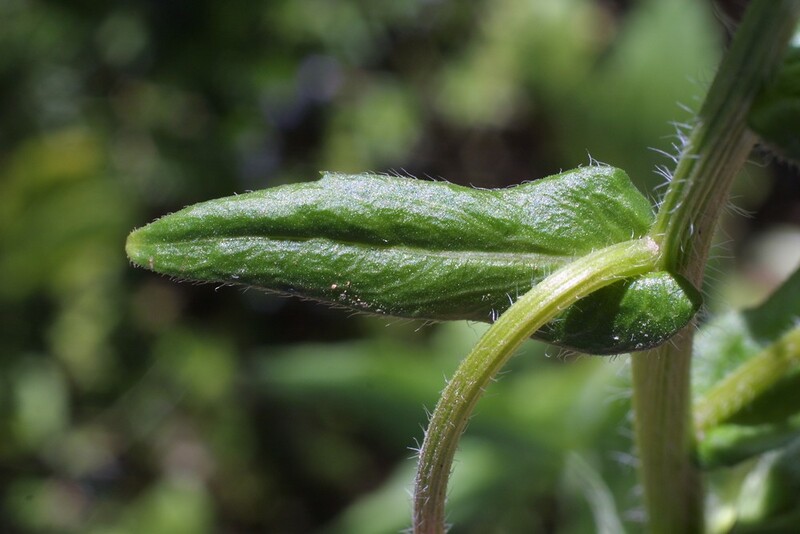 ; E. purpureus Ait. ; 5b. E. philadelphicus L. ssp. provancheri (Victorin & Rouss.) J.K. Morton; E. provancheri Victorin & Rouss. • CT, MA, ME, NH, RI, VT. Fields, roadsides, lawns, clearings; also basic, river shore ledges. Variety philadelphicus is known from CT, MA, ME, NH, RI, VT. It occurs in open, frequently human-disturbed, habitats. 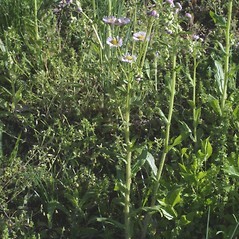 Variety provancheri is known from VT. 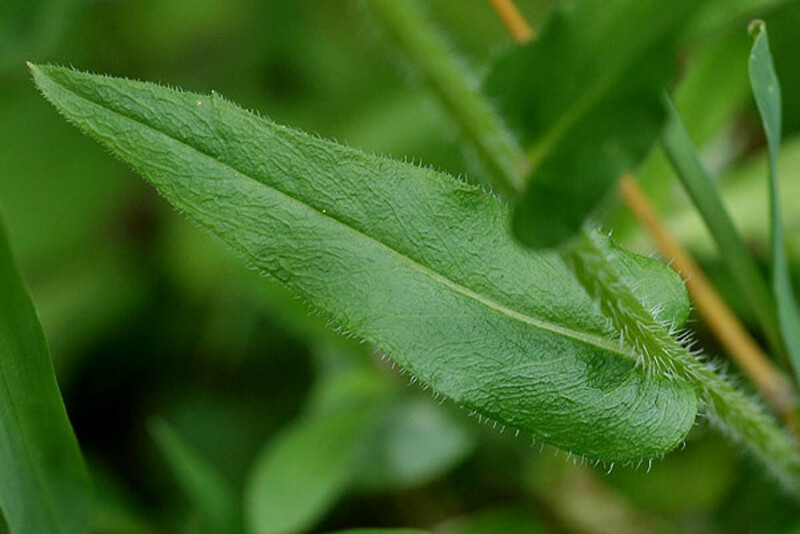 It occurs on high-pH, river shore ledges and is of conservation concern.